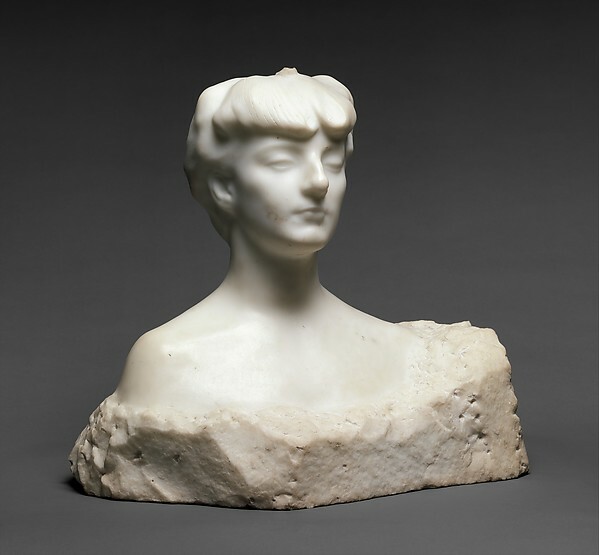 Anna de Noailles’s marble bust by Rodin exhibited at the Metropolitan Museum of New York, in the collection of “Unfinished” works. Because Anna de Noailles never recognized her bust by Rodin, it is known only as “Madame X.” The first picture is taken from the exhibit’s website. The other five pictures were taken by Professor Roxana Verona, from Dartmouth College (reproduced here with her permission).